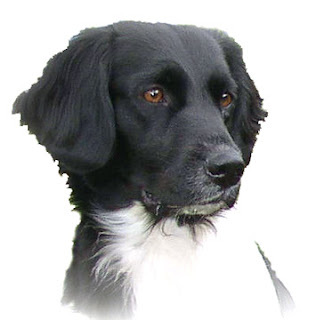 The Stabyhoun also known as Stabij is a rare dog breed originating from Northern Netherlands. There are in total 3500 Stabyhouns existing all over the world. They are strong long-coated breed with a greater length as compared to height. They mostly have black and white colored coats. However they do exist in other variety of colors as already mentioned above. It must be mentioned here that orange breed are almost non-existent while there are objections on tricolored. This breed of dogs has a loving nature and are thought to be affectionate, very intelligent, calm, forbearing and are always ready to please their owners. They are patient and get along with children and other animals. They are dutiful towards their owners and obey their every command. However, they are known for being stubborn and extremely observant. This is a very active breed and is hence not suitable for lazy owners. Owning to its strong retrieving instinct it can even spend the whole day playing fetch with the owner. Apart from hunting, these dogs were used as guard dogs and to catch prey such as rats, moles etc and it reflects till this date. This breed is a retriever as well as a pointer and hence even works well on water. Moreover, it is a strong dog and may also be used to pull sleds in winter. They are used in a lot of activities such as dog agility, obedience, hunting, triathlon, endurance, Frisbee etc. There is no special care needed for the breed other than proper brushing to prevent tangling. Moreover, using soap during bathing must be avoided as it may affect the natural sleekness of the coat. The nature of the coat allows it to get rid of dirt on its own. This breed is relatively healthy and lives for nearly 13-14 years. Earlier there were health related issues associated with the breed, however, careful breeding helped eliminate those.